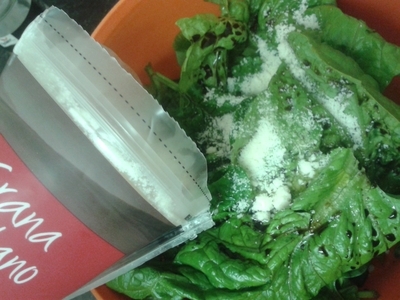 Salad - it's a bad word amongst the under 10's, but not my classic Caesar salad recipe. 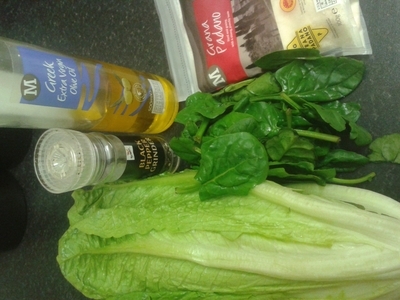 Save on fat, grease and sugar, with my home-made Caesar salad, which makes a great packed lunch for both kids and adults. 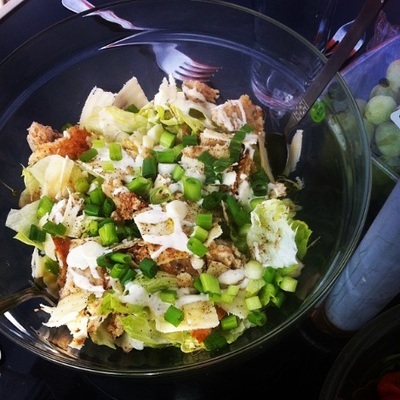 I tried this recipe at a recent friends party where we were cooking for a group of ten children, all of which were under 11 years old. 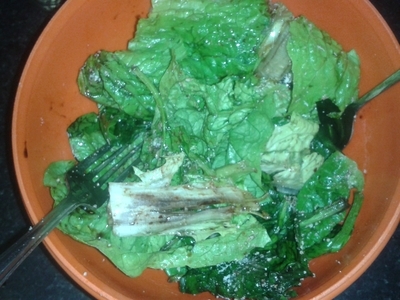 Surprisingly, they all loved it - even a fussy 9 year old who insisted she hated anything green. Win. 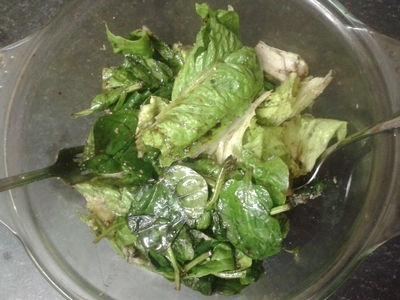 Remove five leaves from the lettuce head. 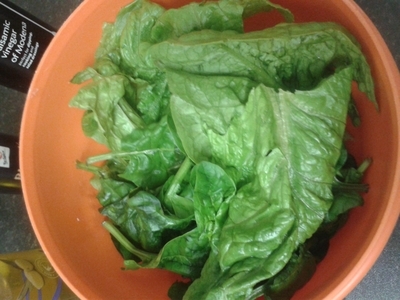 Wash the lettuce leaves and spinach, tear, and place in a large bowl. 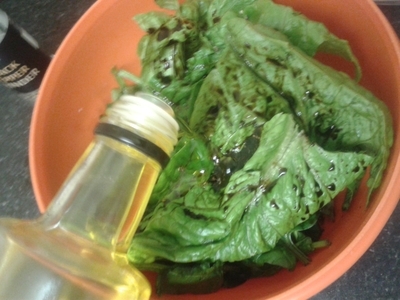 Add the seasoning and pour over the dressing. 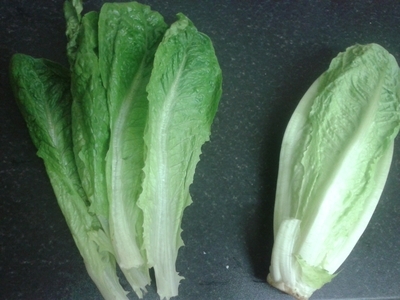 Ideally serve in a large glass bowl.